This week, the strange, stylish superhero series The Umbrella Academy drops on Netflix, bringing the Eisner award-winning comics to life. 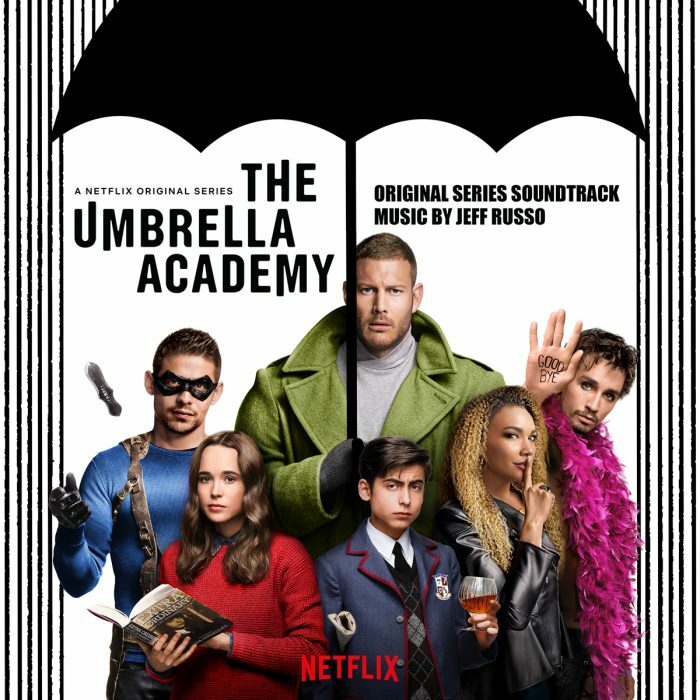 In anticipation of the premiere, we’re debuting an exclusive Umbrella Academy soundtrack track, from the staggeringly prolific Jeff Russo. Hear the exclusive track below. Jeff Russo is in high-demand. The composer has created scores for shows like Fargo, Altered Carbon, The Night Of, Snowfall, Channel Zero, Star Trek: Discovery, Counterpart, Legion and more, and has handled film scores for Lizzie, Mile 22, and the upcoming Lucy in the Sky. His latest is the soundtrack for The Umbrella Academy, Netflix’s adaptation of the comics created and written by My Chemical Romance’s Gerard Way and illustrated by Gabriel Bá. The series features Ellen Page, Robert Sheen, Tom Hopper and Mary J. Blige, and hits Netflix February 15. Early reviews for The Umbrella Academy have been overwhelmingly positive, indicating that Netflix has something special on their hands. Be sure to check the series out this Friday, and enjoy Russo’s soundtrack as well. The post Listen to an Exclusive ‘Umbrella Academy’ Track From Netflix’s New Superhero Series appeared first on /Film.